In this lab, students will observe cellular respiration and its chemical equation. Students will then create a model to demonstrate the conservation of mass within cellular respiration. How are subscripts and coefficients used a chemical equation? Students will begin the lab by reading the essential question and background information. This can be done individually, as lab groups, or as a whole class. Personally, I would do it in lab groups and then do some whole class formative checks before digging into the lab. Students will be completing two activities for this lab. 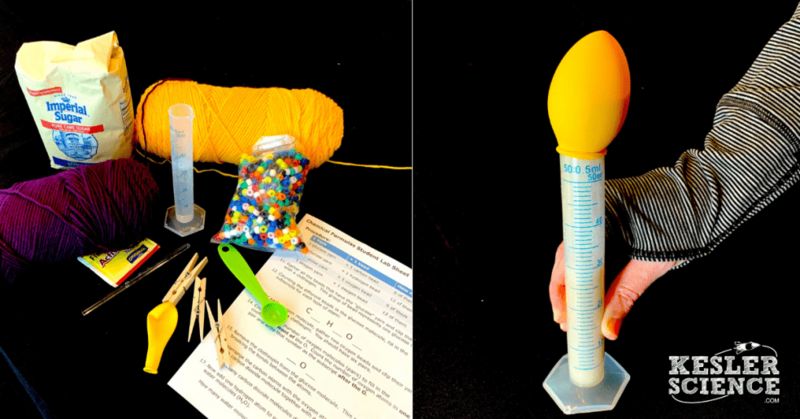 First, students will create a chemical reaction by mixing items together in a test tube. The chemical reaction will have evidence of a gas production which is why students will have to trap the gas using a balloon. While the students are waiting for the reaction to be completed, they will then create models of glucose and of oxygen. 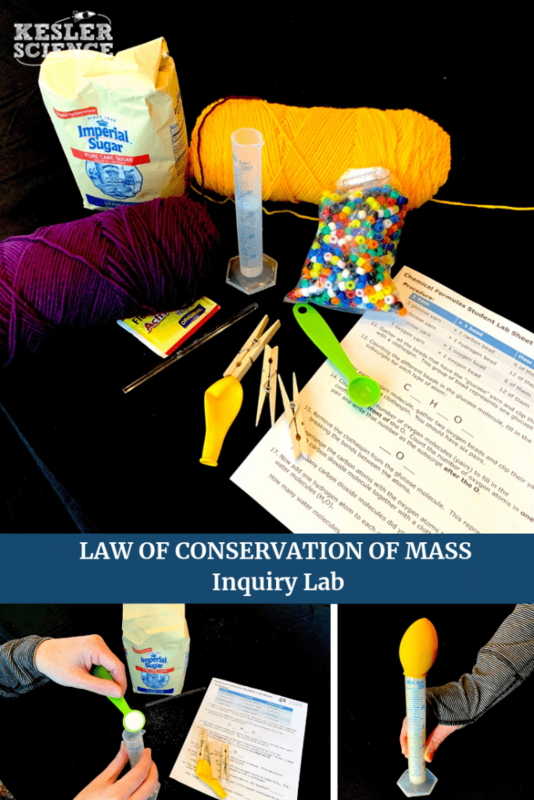 The models are to help students visual conceptualize how the Law of Conservation of Mass shows the beginning mass (reactants) will equal the ending mass (products). What do you notice is happening to the balloon? Students will go back to the essential question and write a CER (Claim, Evidence, Reasoning) to conclude the lab. Once completed, students will reflect back on their learning by answering the following questions. What does a coefficient tell you about molecules? What does a subscript tell you about the atoms in a molecule? The following equation is the reaction that produces glucose: photosynthesis. How many of each atom do you start with? 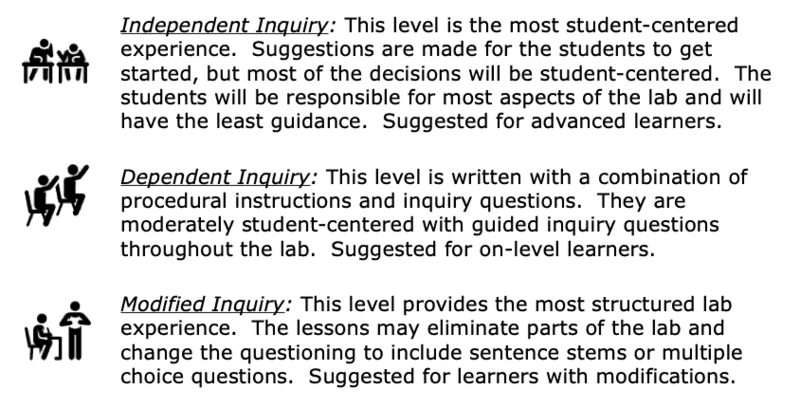 All of the Kesler Science inquiry labs come with three different modification levels. 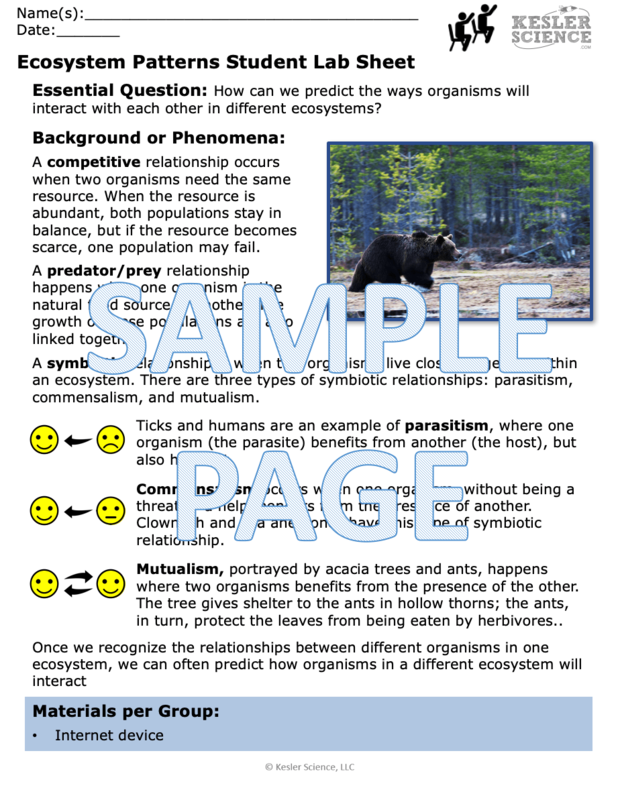 Each labs is differentiated using the icons below. TEKS: 8.5D – Recognize that chemical formulas are used to identify substances and determine the number of atoms of each element in chemical formulas, containing subscripts. 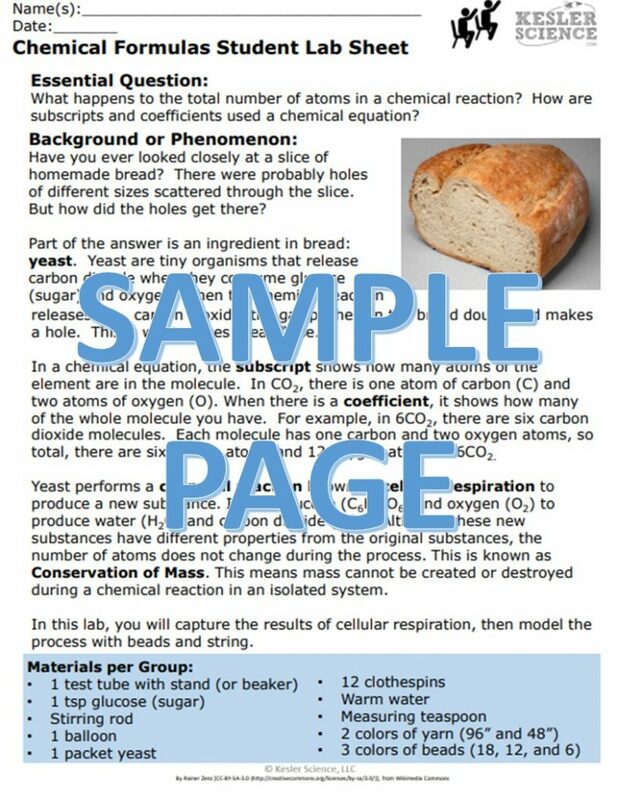 MS PS1 – 5 – Develop and use a model to describe how the total number of atoms does not change in a chemical reaction and thus mass is conserved.